Looking for Golf Apparel and Equipment? 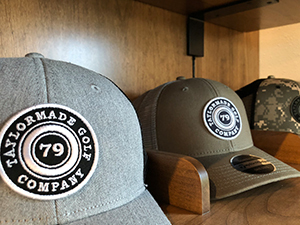 Logo Apparel, Cool Golf Stuff, Oregon Microbrews, BBQ Grill, Deli Sandwiches and a great place to relax inside and out! 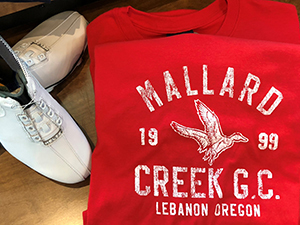 The Golf Shop at Mallard Creek features the latest in apparel, accessories, and equipment from the top manufacturers. It’s guaranteed to have something to meet your tastes or improve your game. Our experienced staff will also help you with gift selections, gift certificate purchases and tournament prizes. There is definitely something for everyone. Don’t see what you’re looking for? We can special order it for you. “Been there, got the t-shirt”. Yes, we have t-shirts. But, we also have top brand equipment, shoes, shirts and the like. And, eight micro beers on tap for you to enjoy while you visit! Titleist, Taylormade, Ping, Footjoy, Bushnell and many others are stocked. And we can always special order something for you. We have 8 taps and keep them rotating with Oregon’s best Micros. 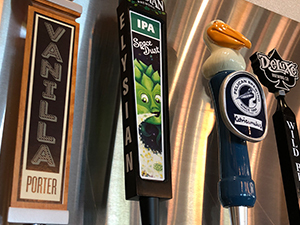 IPA’s are king around here, but seasonals, porters and blonde ales often frequent our taps. If it’s not on tap, it is most likely available in the bottle.